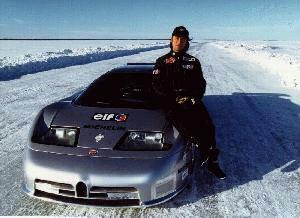 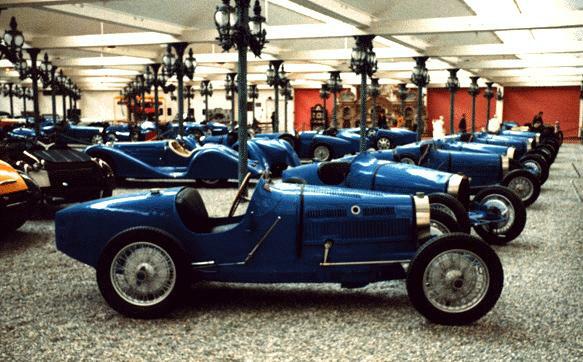 If you prefer browsing the articles per Category, Click here or click here for a short general history of Bugatti, new and old. 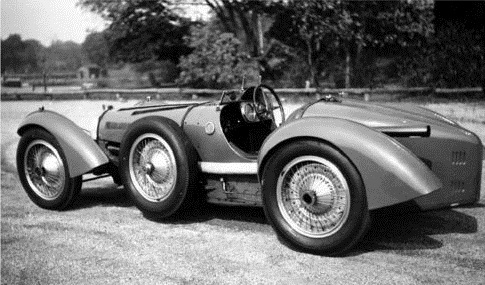 Letter from the editor with various comments. 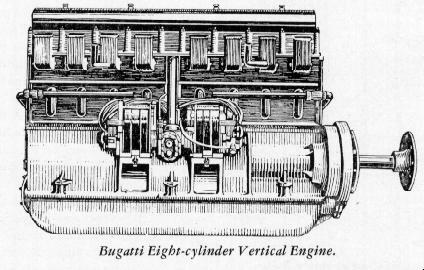 Issue 3 (August 1, 1996): The 3rd issue was entirely devoted to the Aircraft Engines and Aircraft that were designed by Ettore Bugatti. 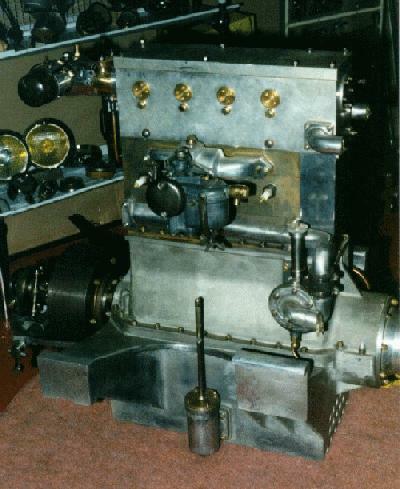 Also the Planes that used these Engines will be discussed! 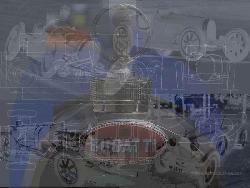 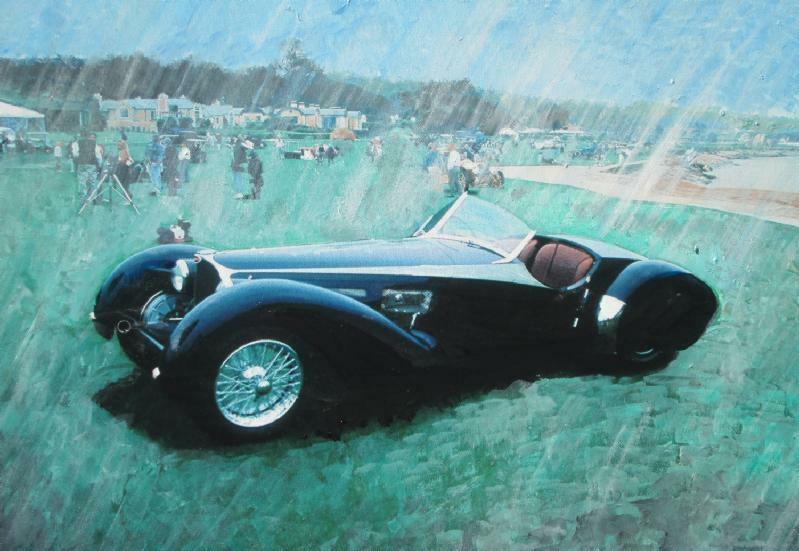 in which I asked for all kinds of Bugatti - related art. 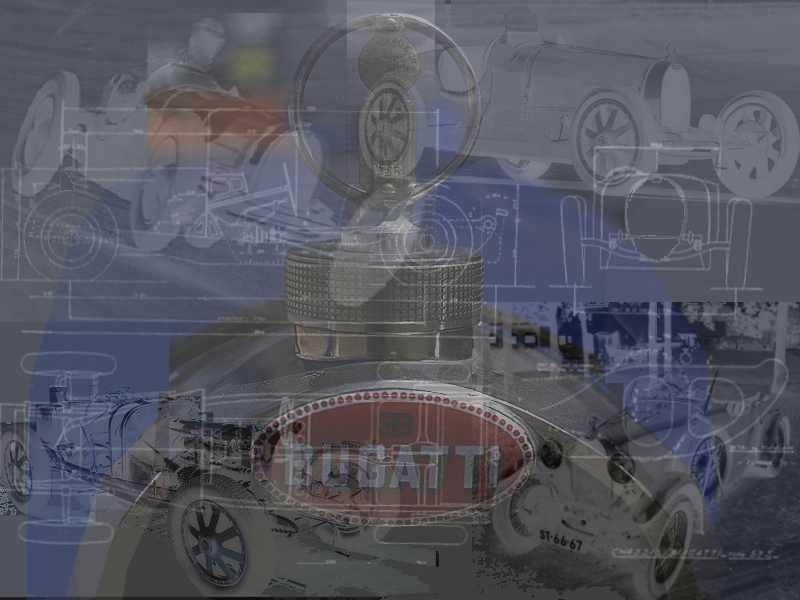 The reactions can be seen per category below. 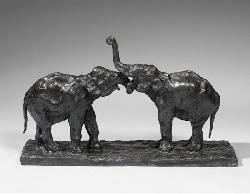 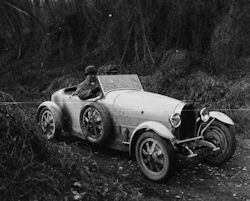 Of Bugattis and Books Johan Buchner South Africa Winner! 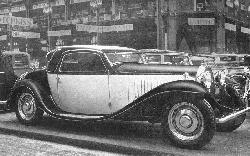 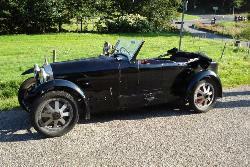 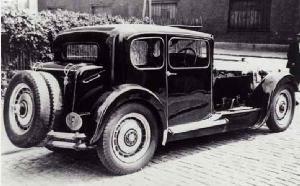 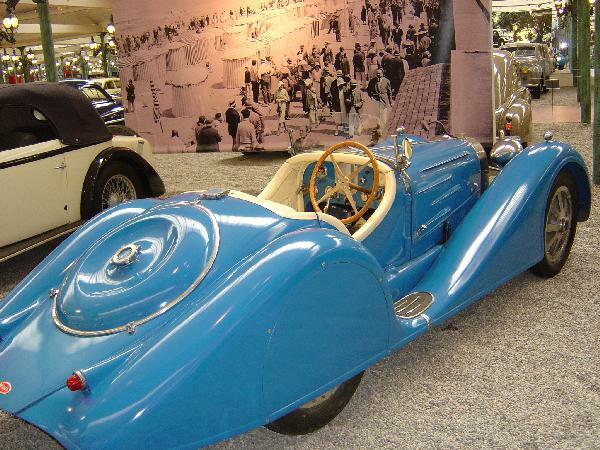 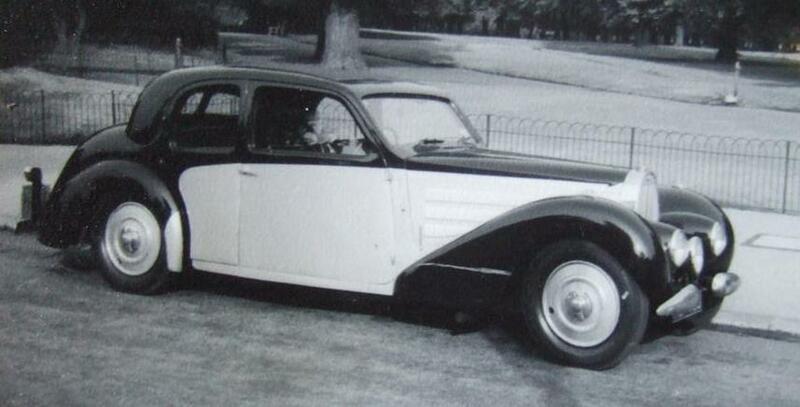 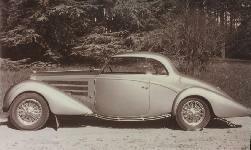 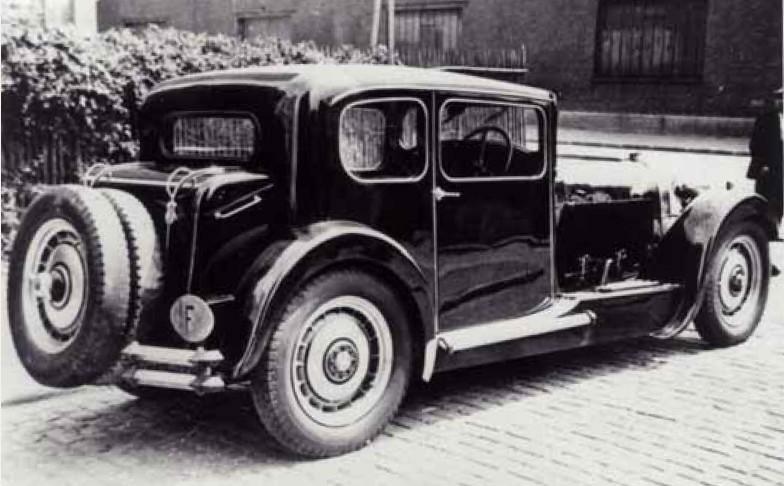 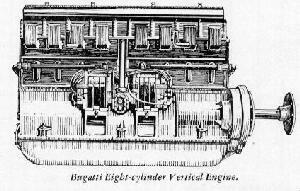 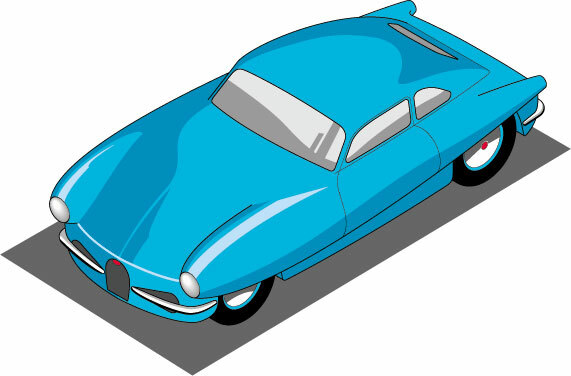 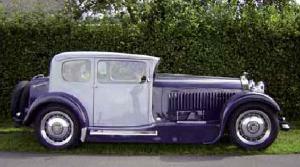 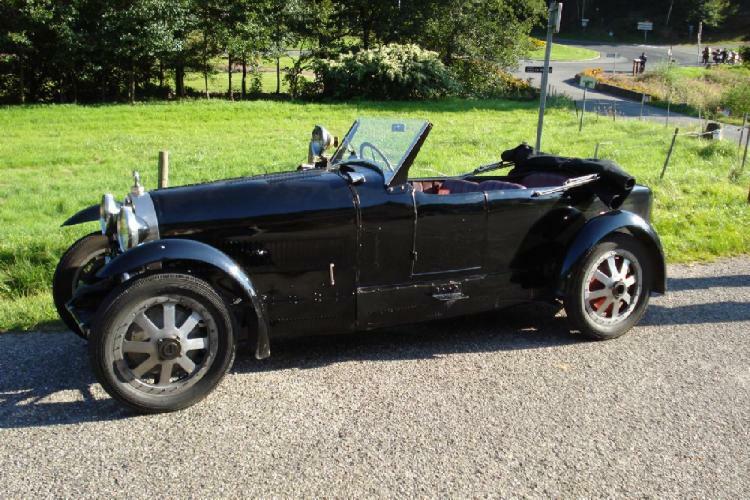 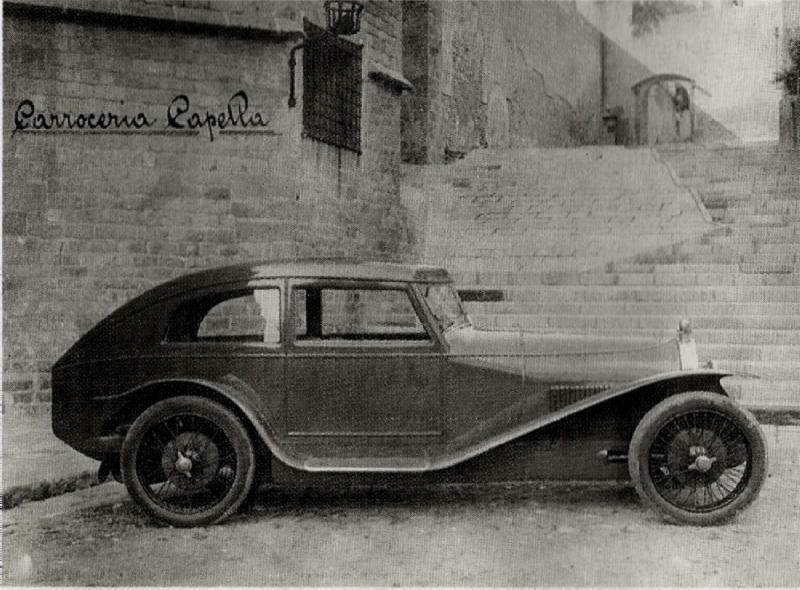 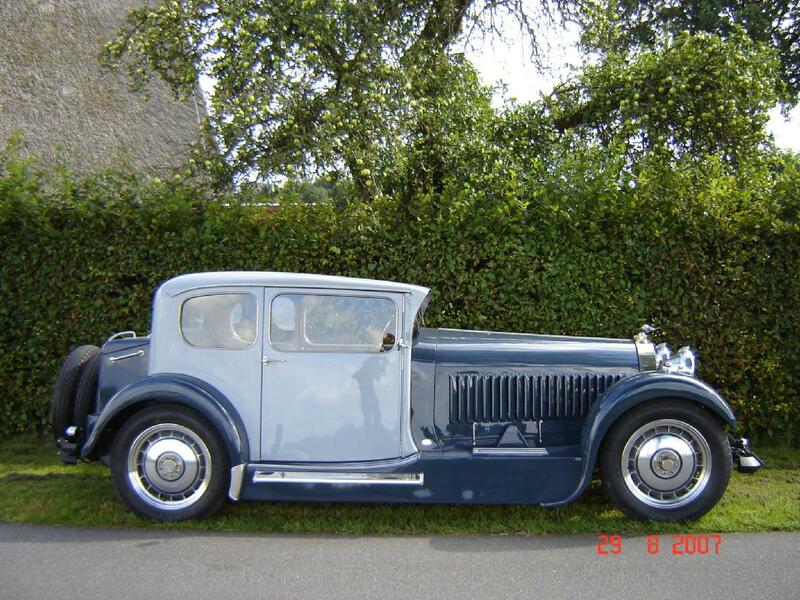 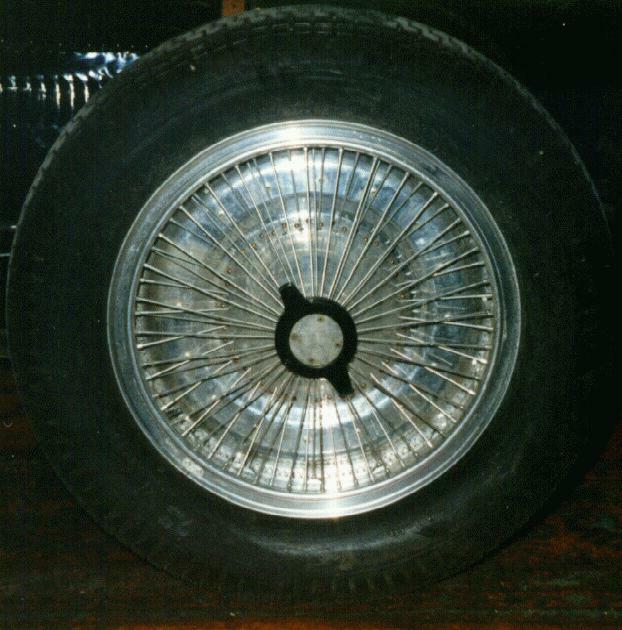 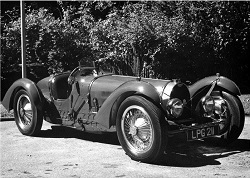 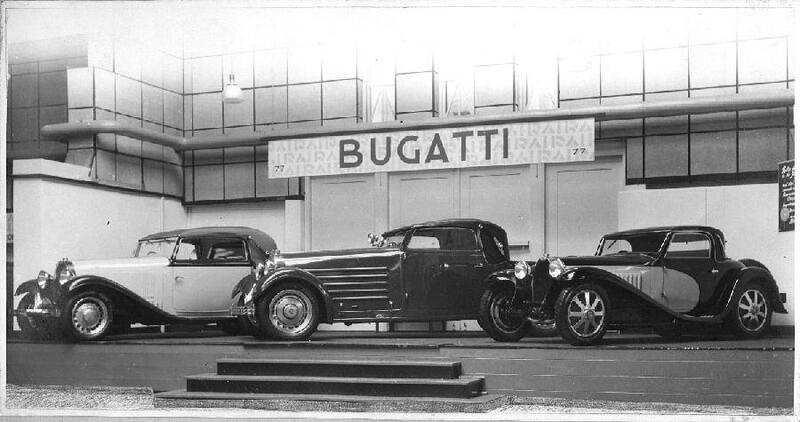 Did Bugatti Pinch Isotta's design? 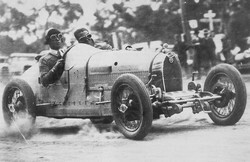 Pedr Davis Australia 2nd! Opening picture: Type 50 in the movie "le crime de monsieur Lange", by Renoir. 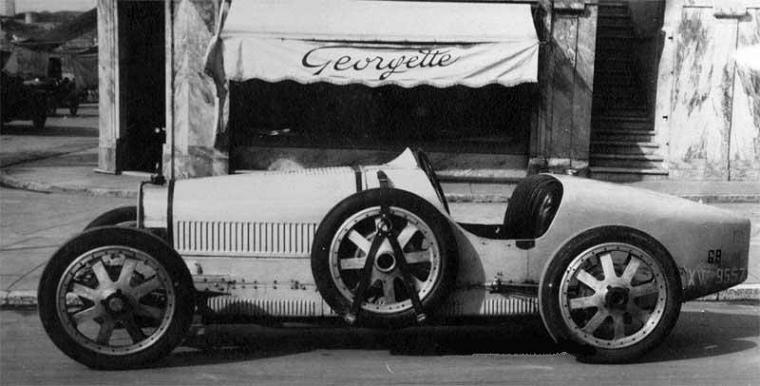 The body of this T50 was by Million-Guiet, to the right two more pictures, one from the 1930's, one recent. 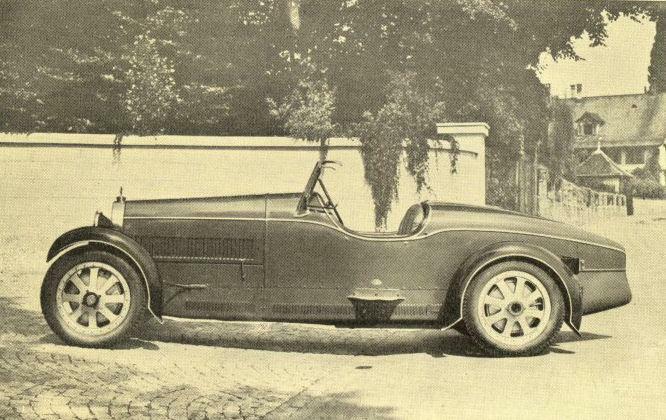 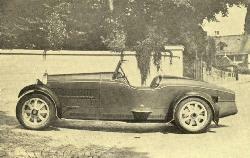 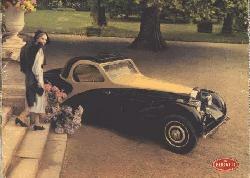 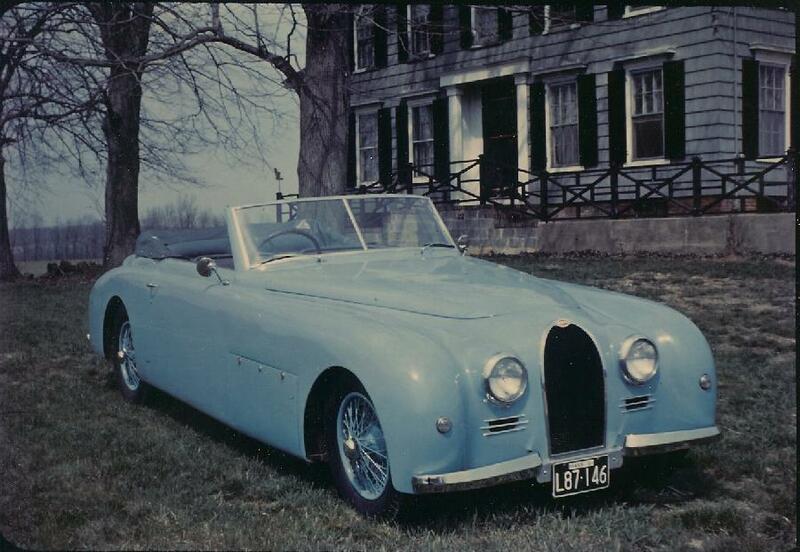 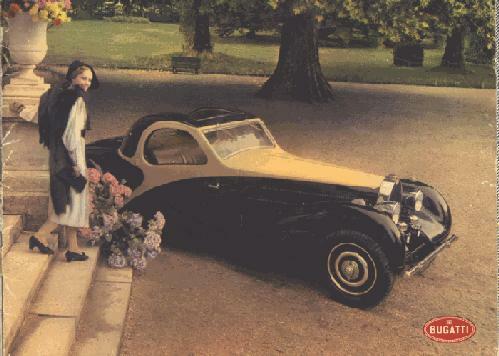 Picture: The Bugatti T101 - 101501, while in the USA in the fifties. 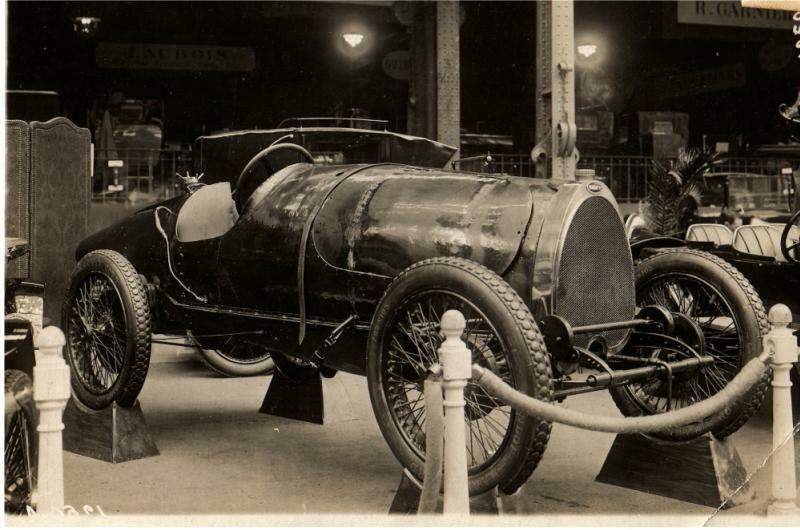 Picture: Bugatti Type 30 at the Paris Auto show, 1921? 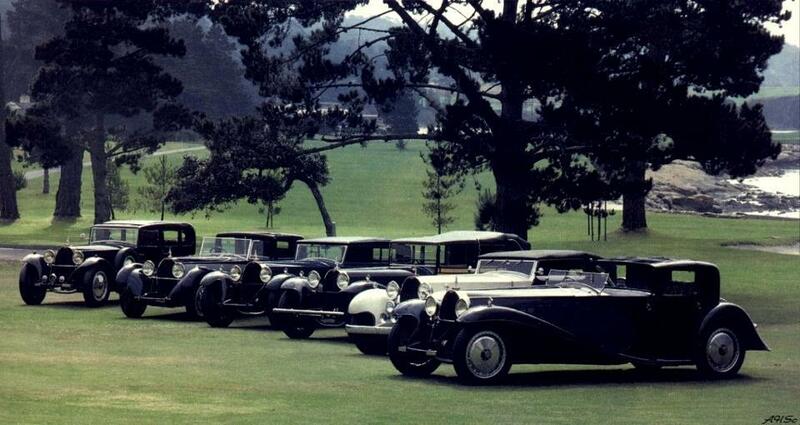 Picture: All Bugatti Royale's together for the first time, Pebble Beach, 1985. 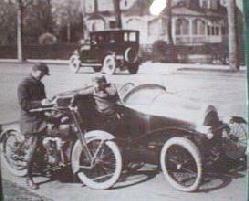 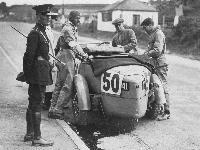 Above Picture: 1928 Ards TT, Curzons Bugatti T43 runs out of fuel. 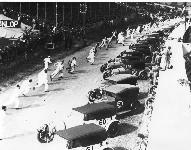 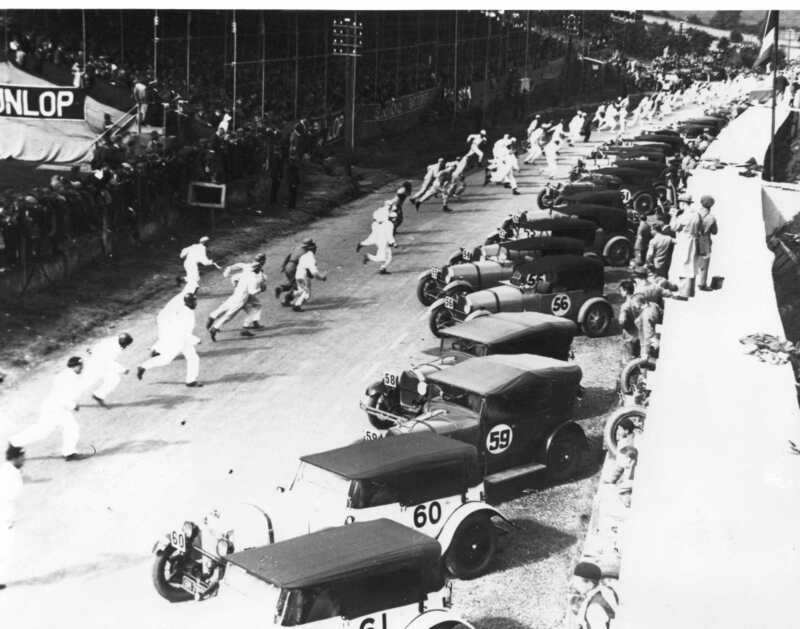 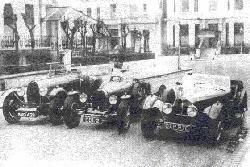 Lower Picture: start of the 1929 Ards TT. 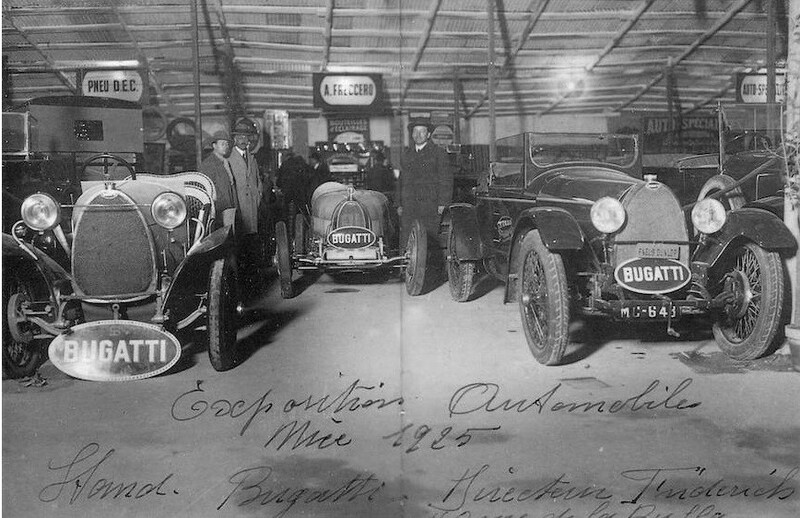 Anybody recognizes all the Bugattis? 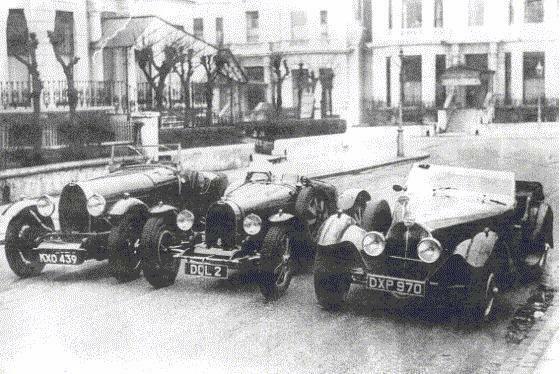 There must be at least 5 of them, all T43 with the starting numbers 52 through 56. 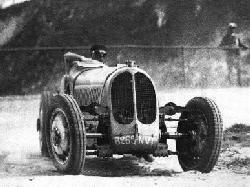 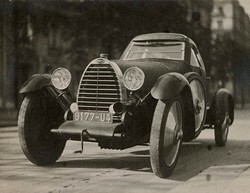 The race was won by Rudolf Caracciola in a Mercedes-Benz SSK. 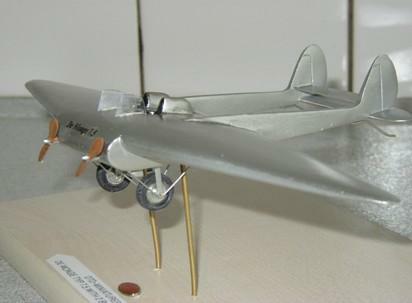 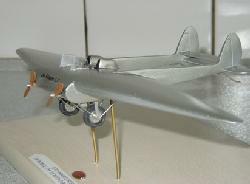 Picture: Labourdette bodied Type 57 "Vutotal". 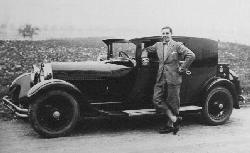 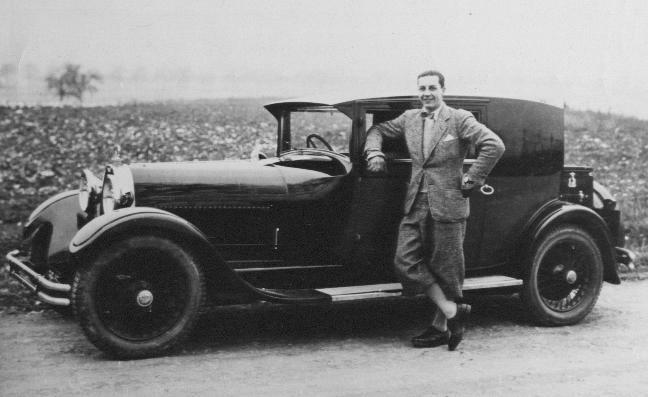 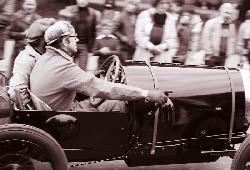 Picture: Paris - Strasbourg: Ettore Bugatti at the wheel of a Type 43. Who is sitting next to him? 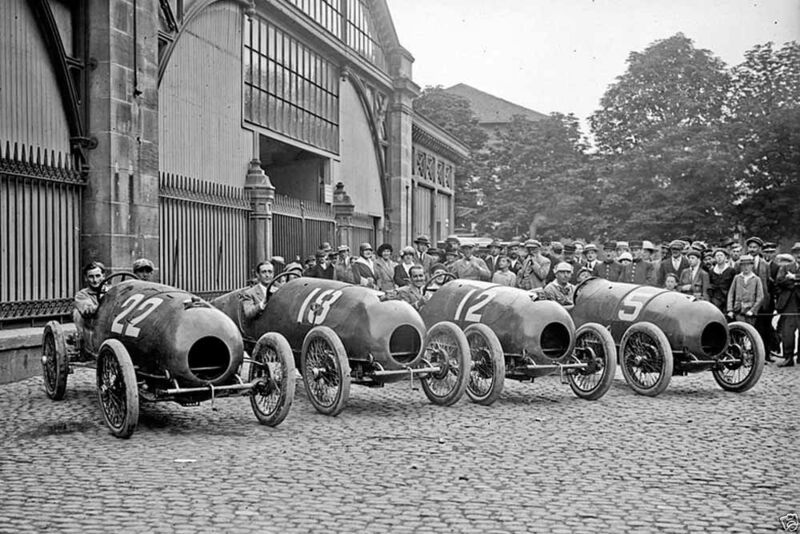 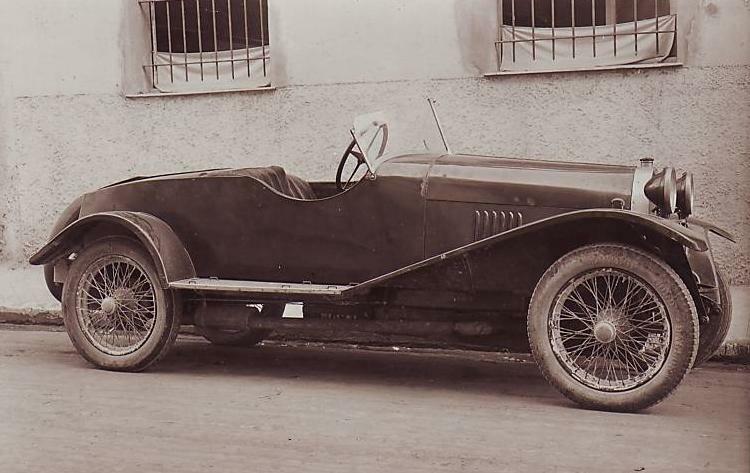 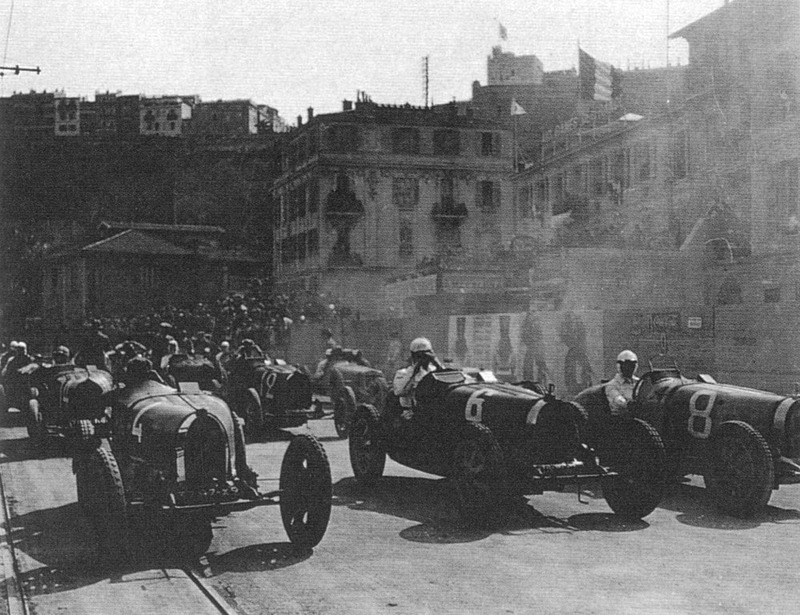 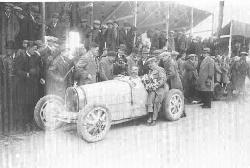 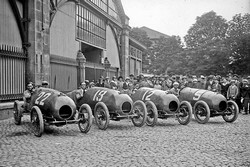 Picture: The 2nd place Bugatti Type 37A of Sabipa at the GP of Boulogne in 1927. 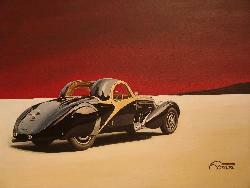 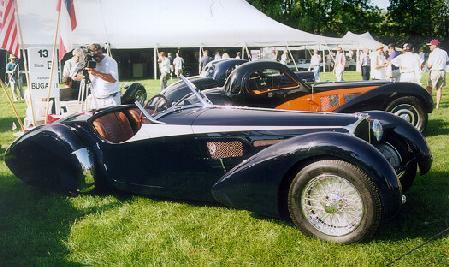 Picture: Type 57S Roadster at a concours, unknown artist. 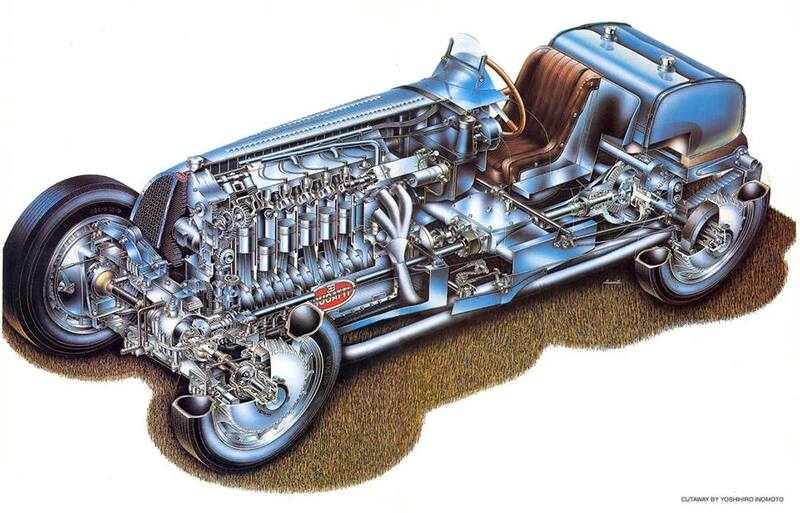 Picture: Cutaway drawing of the four-wheel drive Type 53 by Yoshihiro Inomoto. 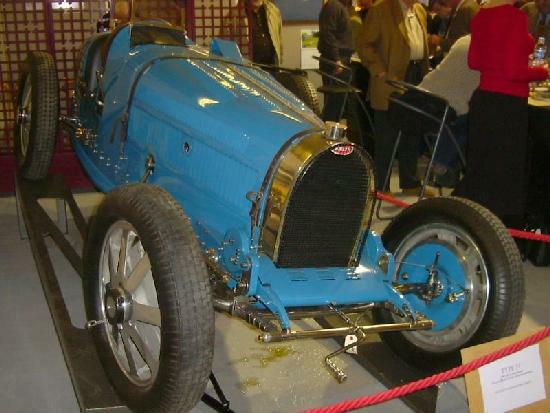 Bugatti History � A legend revived, twice! 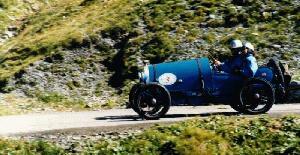 Bugatti � Even faster in the air! 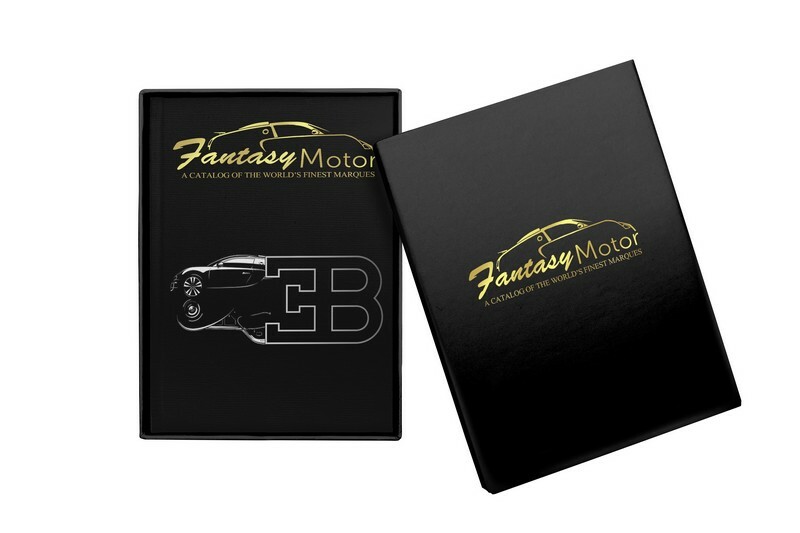 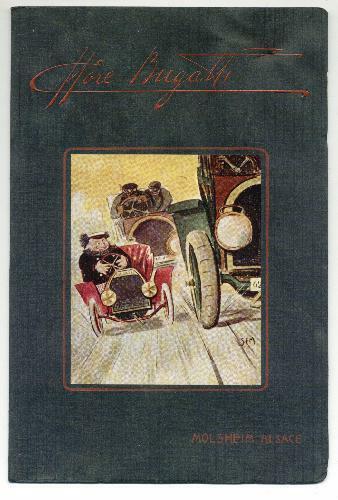 Picture: Cover of the "Fantasy Motor Quarterly" - Bugatti Issue that never was. 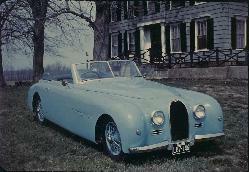 1955 Bugatti article from "The Vintage and Thoroughbred car" and letter by Mark Hyatt. 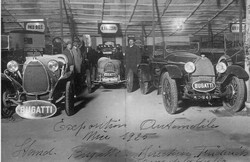 Picture: Automobile Exposition in Nice - 1925. 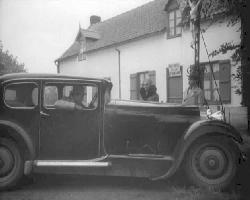 Director Friderich. 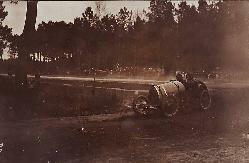 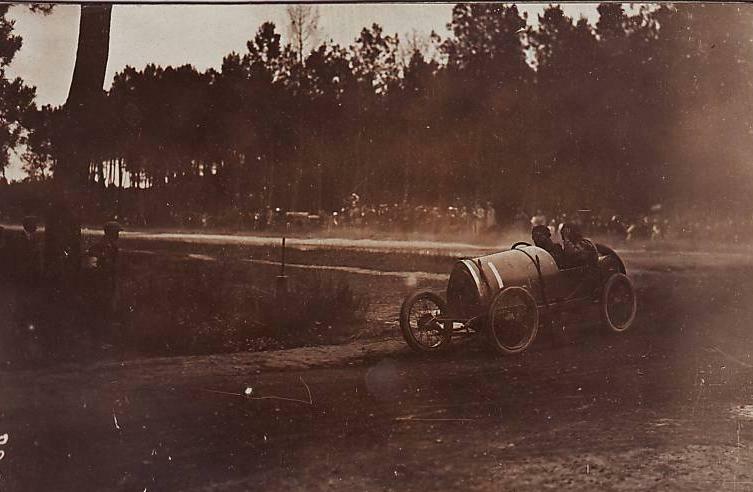 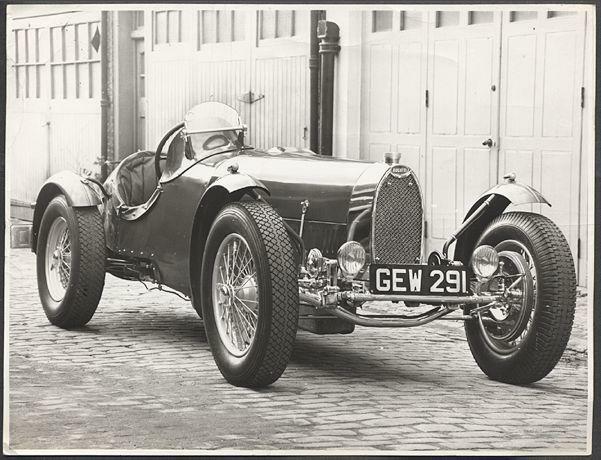 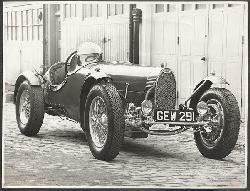 Picture: Action: Bugatti Type 37A driven by Bill Thompson. 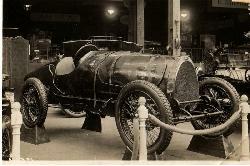 Note additional shock-absorbers at the front. Picture: Type 30 Coup� Aerodynamique by Cl�ment Kelsch. 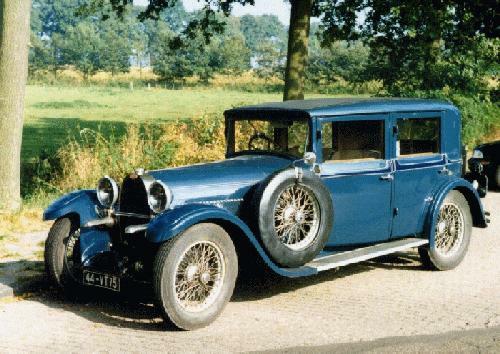 Build your own Type 32 or Type 35 Three free kits with this issue of the Bugatti Revue! 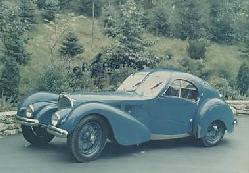 Picture: The Bugatti Type 59 "LPG 211" the way it should be! 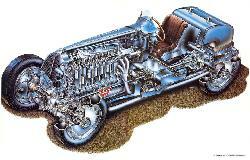 Categorized overview of the Bugatti revue back issues above! 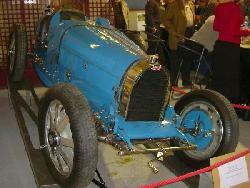 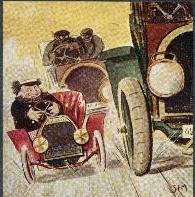 the Bugatti revue is an at regular intervals appearing magazine, with interesting articles on Bugatti. Otakar Kopecky came with the idea, and wrote the main articles for the first few issues. 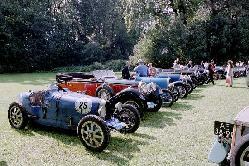 Authors are invited from all over the world to write a contributing article about some part of the Bugatti history. Mail the editor if you have any ideas or want to contribute.